Are you new to investing and need some motivation to start? 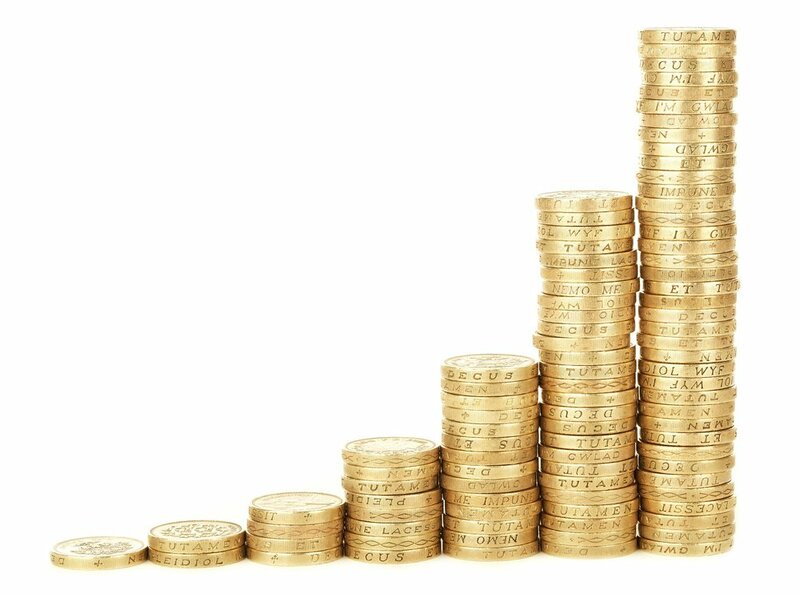 Well this is a very exciting time for you because your contributions have the power to exponentially increase your investable assets when you start. On top of that you have the wonderful tool of dollar cost averaging to smooth out your ride. Let me show you! Do you need more motivation to start contributing? Check out this graph showing the monthly savings needed to achieve $1 million at retirement. 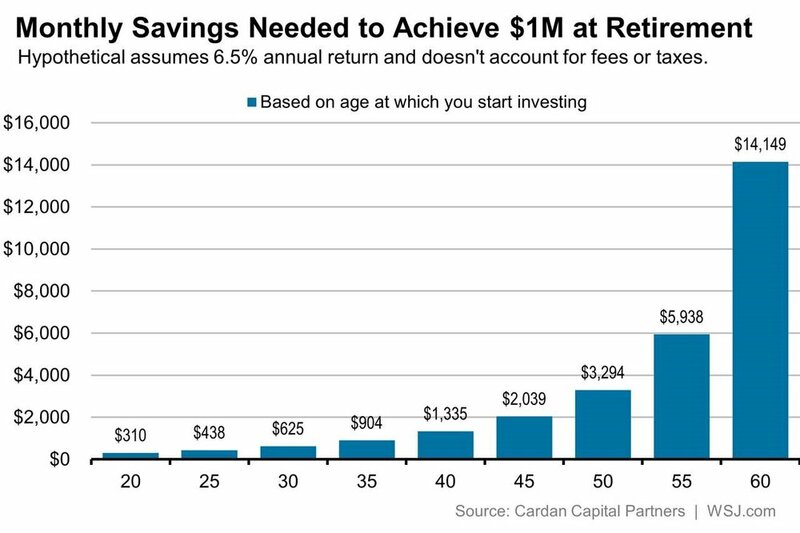 It is never too late to start, and the earlier the better as illustrated by the left-hand side of the chart showing you only need to contribute $310 per month if you start at age 20, compared to $14,149 per month if you start at the age of 60. If this isn’t motivation, I don’t know what is! Ready to start but not sure how? Your first decision will be what account type to invest in. Account types include government-related registered accounts like TFSAs, RRSPs, RESPs, RDSPs etc., or non-registered accounts. The difference between registered and non-registered accounts is simply that registered accounts have a tax advantage. TFSAs grow completely tax free, while RRSPs, RESPs and RDSPs grow tax- deferred. Non-registered accounts are fully taxable, and are taxed depending on the type of securities the investor is investing in. Your next step will be to determine what to invest in. This section deserves a blog on its own, as this depends on a variety of factors including risk tolerance, age, income, amount of investable assets, etc. 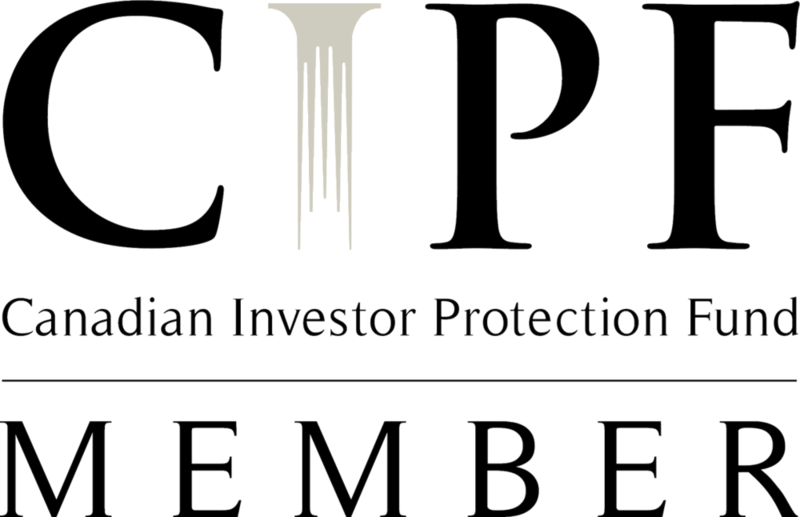 If you need assistance deciding what to invest in, or the type of account you need, check out our blogs on our website, or reach out to us here. We are always happy to have a discussion.